Douch Family Funeral Dire ctors have invested in a brand new fleet of elegant vehicles as they continue to improve their service. The company that runs seven branches in Dorset has acquired six, state-of-the-art Mercedes Benz cars; three hearses and three limousines. Regular renewal of the fleet is important for the firm which, although over 100 years old, is always looking ahead. Each vehicle has a start-stop system, which means the engine turns off when the car comes to a halt, then auto-starts when a pedal is pushed. This is just one of the eco features on the next generation of funeral cars, which are now diesel-powered. Previously, funeral directors would not use that fuel because of the noise levels, but the modern engines are fittingly quiet. The new cars do far more to the gallon than previous models and also have some unique features. These include glass roofs that allow natural light into the coffin chamber and into the limousines where the mourners sit. The limousines also have large doors and adjustable central seats in order to give easier access to the roomy interiors. 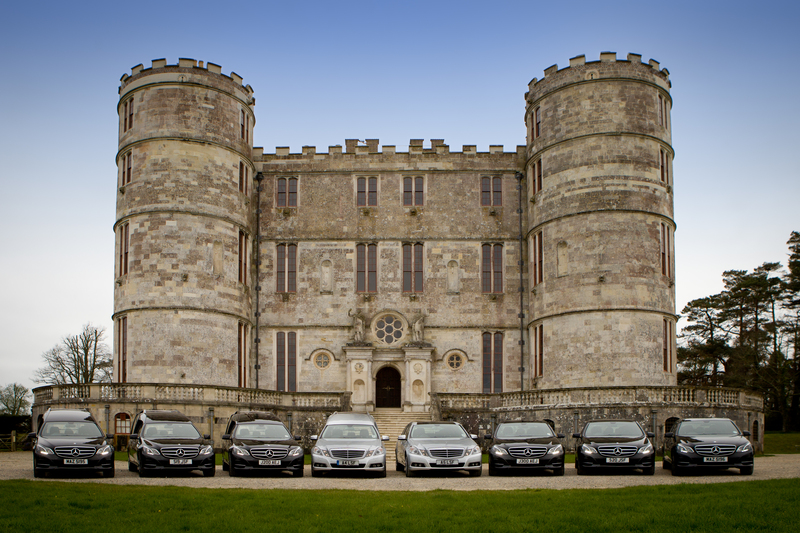 Nick Douch, managing director of Douch Family Funeral Directors, which also provides the award-winning Dorset Funeral Plan, said: “We now have six black cars and two silver ones and they look magnificent. “They are the most up-to-date funeral vehicles available and will enhance our service across all of our branches. The new vehicles are in addition to the ones that the company already has. Kevin Smith from Superior UK Automotive Ltd in Reading, which supplied the fleet, said: “These vehicles are based on the Mercedes E250 CDI SE and include unique features. “They have glass roofs, electronically adjustable central seats and much reduced emissions. Douch Family Funeral Directors’ branches are Douch & Small in Wimborne, A. E. Jolliffe in Ferndown, Albert Marsh in Wareham and Upton, James Smith in Swanage, Ives & Shand in Parkstone and Lesley Shand Funeral Service in Corfe Mullen.